Two Lake View brothers became the first people to be arrested and charged with trespassing this year for climbing into Wrigley Field. Brian and Sean Pschirrer, of the 1600 block of Addison, were arrested for allegedly climbing into the stadium along Waveland Avenue early on April 12. Cubs security told police that they found the Pschirrer brothers hiding under the unfinished bleacher seats. Sean, 24, and Brian, 20, are charged with criminal trespass. • Brian Conner, who saw assault and aggravated assault with a knife charges dropped after two different victims in two different incidents at the Center on Halsted failed to show up in court, is back in jail. It’s for shoplifting this time. 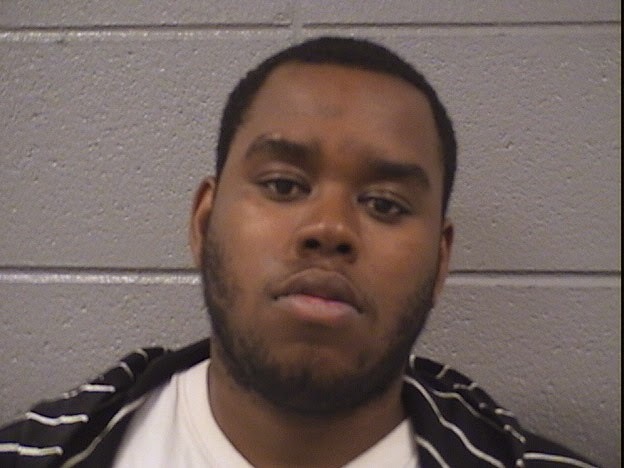 Conner was arrested by security at the Boystown Jewel-Osco store, 3531 N. Broadway on April 16. Prosecutors have approved a felony upgrade and Conner remains jailed with bond set at $25,000. Unlike the weak-willed Center on Halsted, Jewel-Osco almost always shows up in court. • A highly successful attorney and real estate mogul who parked his Lincoln Continental in Boystown told police that he found something unexpected when he returned to his parked car in the 3600 block of Broadway. He found 18-year-old Gresham resident Shaquille Terrell sitting in the driver’s seat. The attorney used his key fob to lock Terrell inside the car, then summoned police. Criminal trespass to vehicle charges have been filed. • A 25-year-old Wrigleyville man who was charged with receiving nearly 3 pounds of pot via UPS in January has entered into a plea deal. Brandon M. Combs of the 1100 block of Patterson received 2 years probation, 4 days of community service, and a $1,199 fine. • Finally, we haven’t heard from Steven Haymon in a while. The 27-year-old Maniac Latin Disciple gang member who served time after robbing and battering a man in a hate crime on the Boystown Strip in 2010, was arrested just weeks after being paroled when he was found sitting in a stolen car at Roscoe and Halsted last summer. He pleaded guilty, then got arrested in October for allegedly pushing a Boystown doorman who would not let him into Roscoe’s Tavern. In December, he was arrested after allegedly threatening to beat a man inside the Merlo Library on Belmont. Then, he pretty much disappeared until a few days ago when an officer stopped him for allegedly drinking Bacardi Zombie Rum on the public way at Halsted and Aldine. Haymon, who had his right ankle in a cast after falling victim to a hit-and-run driver, allegedly told the approaching officer “Leave me alone. I’m just a male prostitute!” Instead, the cop arrested Haymon.